When defending his state's use of Obamacare, Gov. Scott Walker responds "It's the law." 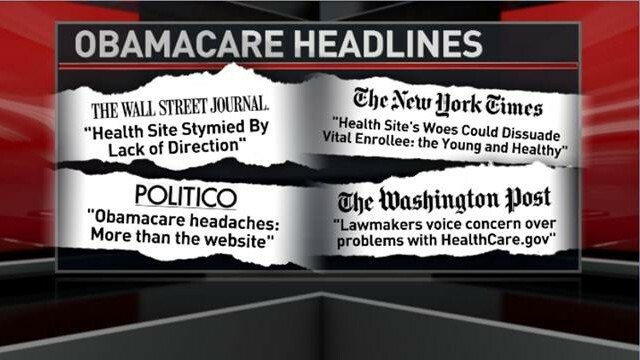 The Obamacare website has been mired in a constant stream of bad headlines. After it crashed on Sunday, a federal official reports the site is now up and running. Should President Obama have been more prepared for the problems? In The Crossfire: S.E. Cupp and former Montana Gov. Brian Schweitzer, our first Crossfire guest host. They’ll be joined by Ron Pollack of Families USA and Grace-Marie Turner of Galen Institute to debate Obamacare. Pollack supports Obamacare, while Turner thinks its wrong for America. We want you to weigh in. In 5 years, how will Obamacare be viewed? Vote by tweeting with the words Success or Failure using #Crossfire, or comment on our Facebook post. View results below or through our Poptip results page if you are on a mobile device. Former Montana Gov. Brian Schweitzer explains why he opposes settling for a six-week temporary deal on the debt ceiling. The U.S. is 11 days into the partial government shutdown and less than one week away from a possible breach of the debt ceiling, but everyone is talking, including the president. Is President Obama negotiating, even though he said he wouldn’t? Or is the GOP caving? 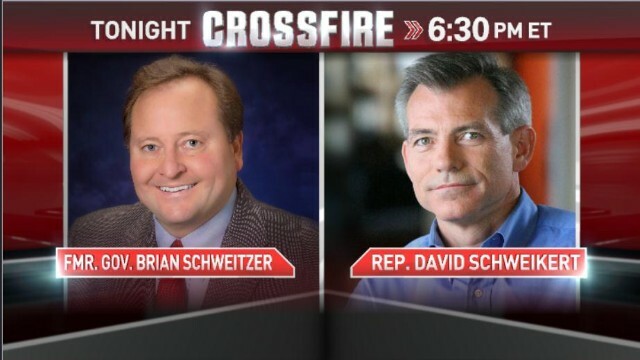 In the Crossfire tonight, Rep. David Schweikert, a Tea Party ally who wants Speaker Boehner to stand firm, and former Governor Brian Schweitzer, Montana’s first Democrat to hold the office in 20 years. They'll join hosts Stephanie Cutter and S.E. Cupp to make their case at 6:30pmET. Join the conversation and tell us what you would ask Schweikert and Schweitzer by tweeting with #Crossfire. We want you to weigh in. Do you think there will be a deal to open the government and avoid default? Reply now below, by replying to our tweet or by commenting on our Facebook post.